Fastest way to check the detailed progress of your shipment. 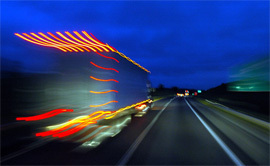 We are pleased to provide pricing for all your transportation needs. We welcome your questions, comments and suggestions. You can contact us by e-mail, mail or telephone. 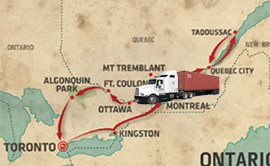 Established by Mr. Elie Chemali since 2000 in Montreal, Trois 7 Transport Inc. is a family-owned business located in Lachine, which offers a full range of services in the container transportation industry. 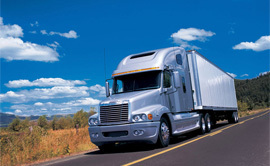 Member of the UIAA, Trois 7 Transport offers you transport solutions from all terminals in Montreal to your doors, whether you are located in the greater metropolitan area of Montreal, further in the province of Quebec and Ontario. Trois 7 Transport holds a license for the transportation of hazardous materials, so we specialize in both hazardous and non-hazardous materials freight transportation. To ensure optimal services to our clients, we are able to customize our approach and our services based on our clients’ particular needs. Our experience and expertise have been proven, over the years, to be a valuable asset for all of our clients’ ground transportation necessities. Trois 7 has built a strong work relationship with transportation agencies. We have gained a solid reputation for the exceptional quality, efficiency and dependability of our services and customer support..
For more information about the variety of services we offer, please contact us directly and we will gladly answer your questions. © 2013 Copyright Trois 7 Transport. All rights reserved.